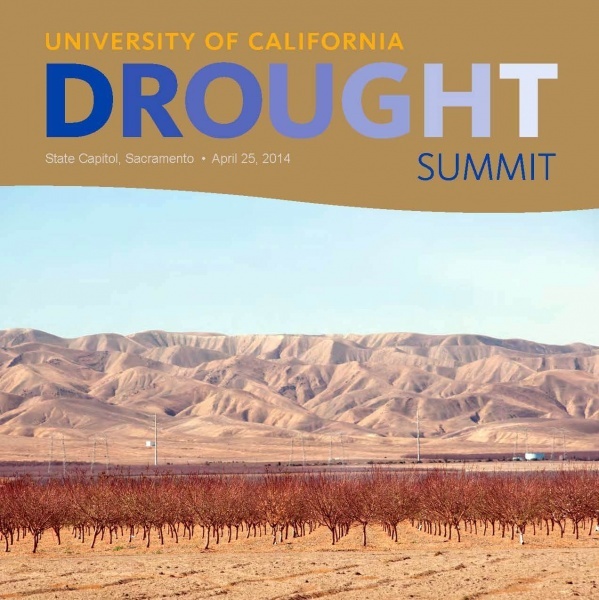 The Center for Watershed Sciences organized faculty from across UC campuses and other California universities to present a daylong Drought Science, Policy and Management Summit on April 25, 2014 in the state Capitol. More than 200 attended the daylong series of panel discussions and talks on the environmental and economic consequences of the current drought and future water shortages — and how best to manage them. Topics ranged from agricultural production and employment to the California economy, energy production and use, fish and wildlife, water conservation, public health and wildfires. CLICK HERE to find drought expertise and news at the new UC Davis California Drought Watch website.